With joy and humility, the Nwako family of Adagbe Oraofia welcome you to Abagana (Igoe tvlbamalu) on the installation of Chief Dr (Mrs) Florence Nwakaego Nwako-Oraelosi (Oduenyi Abagana ) as the first female International Patron of the prestigious Peoples Club of Nigeria International. Your distinguished presence is highly appreciated, My family and I are grateful to the Almighty God for His magnanimous mercies in our lives and thank Him for this honour being accorded me this day. Nwamaka Titi Nwako (Nee Onua), (an educationist and auditor par excellence, a fourth degree lady knight of St Mulumba, the first female to undergo a third level education in Abagana), both of Oraofia village, Abagana, Njikoka Local Government Area of Anambra State. Dr Florence was educated at the then prestigious Sancta Maria Private School, Aba and went on to attend the following equally prestigious secondary schools; Cornelia Connelly Secondary School, Uyo, Immaculate Heart Girls Secondary School, Aba and Queens School, Enugu. She proceeded to Ireland and read Medicine at the Ivy league/Russell Group University College, Dublin. She is the Senior Partner in a group practice of four partners and three salaried doctors. Two of her partners are Nigerians whom she brought into the practice. She practices from two surgeries in East London. 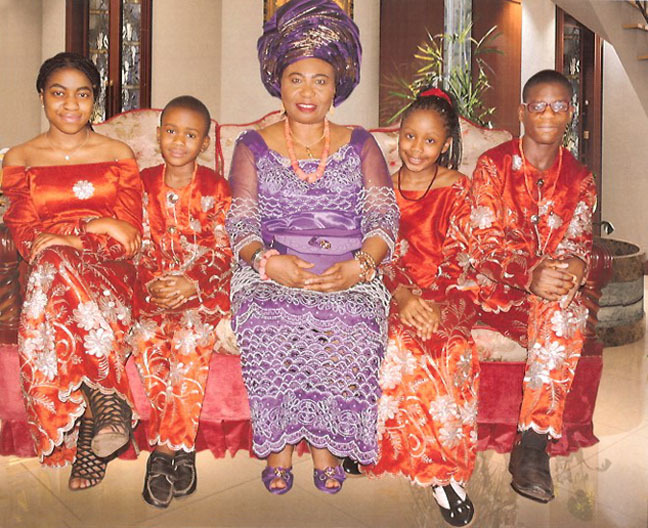 She has enabled couples have children and helped Nigerians who travel to the UK in search of medical treatment. She has also greatly contributed to medical education, teaching Medical students at Karts and the London, Queen Mary's University. Chief Dr Mrs Nwakaego Florence Nwako-Oraelosi is passionate about her family, her country Nigeria, her home town Abagana, all matters Igloo and the Roman Catholic Church. She has aligned herself to the education of the girl child in her town and has awarded scholarships to this purpose. She hosted and served as a financial secretary of her town's union (Abagana Welfare Union) in London for ten years. She has also contributed to various worthy projects in her home town including the building of the new St Francis Roman Catholic Church, village hall, equipping schools and the maternity and ensures that whenever she is in residence that her fellow villagers did not go without during the festive season. 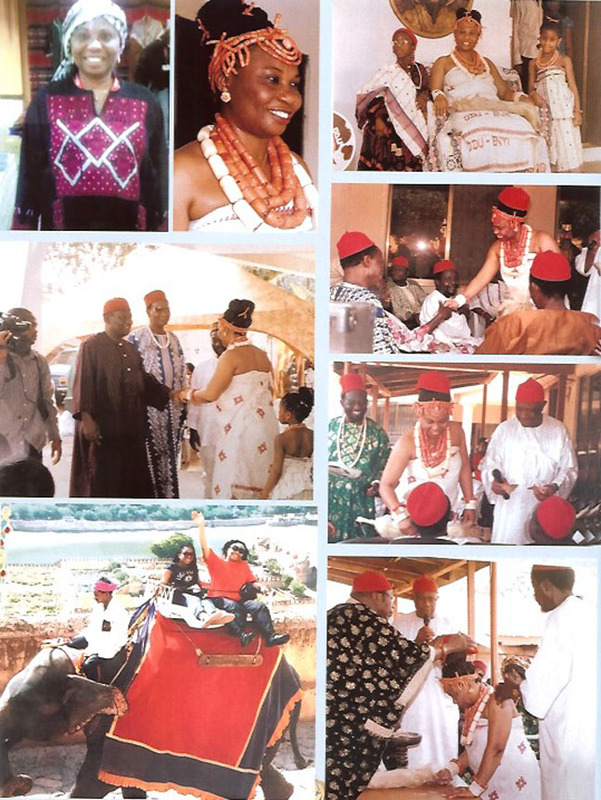 In recognition of these, her village approached Igwe Abagana, Austin A.A. Ezenwa, of the blessed memory, to confer on her the title, Oduenyi Abagana and he went further to give her a seat in his Cabinet in December 2005. 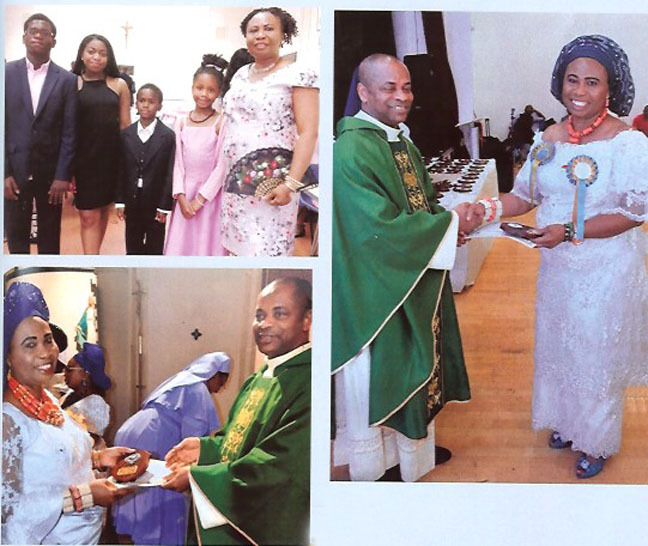 She is also a member of the Igbo Catholic Community of the Nigerian Catholic Chaplaincy England and Wales. world to unusual destinations with her family. gratitude to the Almighty God for His steadfastness in our lives .